Home Data Analytics Africa and its riches unlocked! Africa and its riches unlocked! Africa was once at the centre of the world – literally. It was the landmass at the centre of Pangaea, a super continent that broke up into smaller plates about 200 million years ago. Today, Africa sits on the second largest of these plates and her physical landscape is not a permanent fixture. It’s being constantly shaped by massive geological forces that reach deep down into the interior of the Earth. This is the central organising idea in the earth sciences: the theory of plate tectonics. When plates collide, slide past or bump into each other, they cause the earth to shake. This shaking is picked up by sensors, called seismometers, which are often buried in vaults underground. 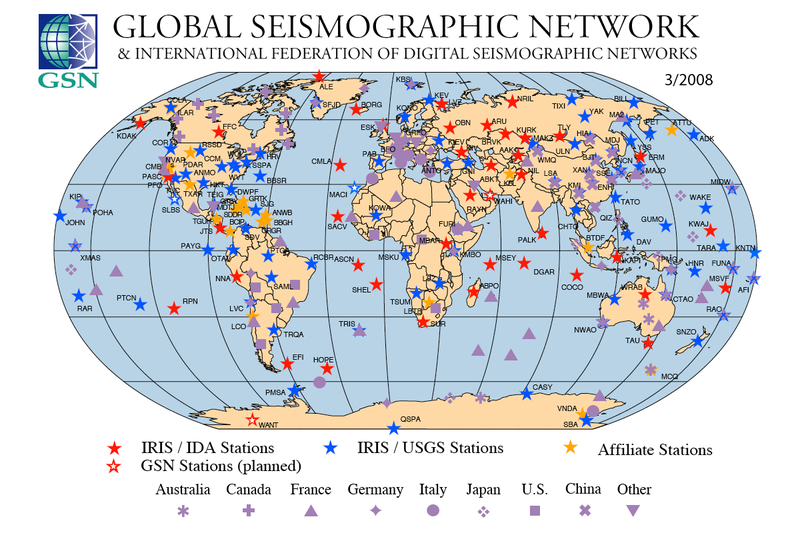 Some have been formed into seismic networks across the globe. The longest and continuously running of these are owned and operated by an international consortium consisting of many countries including the US, France, Japan and China. As a computational seismologist, I use these sensors to build images of the earth’s interior. It’s like holding a stethoscope to the earth’s surface and using a computer to reconstruct the anatomy of the planet. From mountain peaks to the inaccessible red hot depths of Earth’s inner core, the invisible is made visible. The information detected and recorded has many important uses. Aside from helping us understand how plate tectonic forces shape the landscape, they can provide valuable information about natural disasters, the location of resources (like oil or minerals) and even environmental changes. This could be particularly useful for Africa. The process to unlock this information starts with the recordings, from the sensors, of ground vibrations. These vibrations happen whenever plates shake and move and could also be caused by waves crashing on seashores, hurricanes shaking the earth, gravity waves and even nuclear test explosions set off by North Korea. From these basic recordings we then extract the seismic signals from ambient noise and use high performance computers to reconstruct images of the Earth’s interior. This map, for example, shows the shallowest rocks of the continental US. The image is derived from about 2,000 sensors, deployed throughout the last decade, which detect and record ambient seismic noise. The map was then generated at the University of Maryland using powerful computers. This remote sensing technology is incredibly useful. It can provide unique information on changes to the climate and environment through glacier systems, ocean waves, underground waste and carbon sequestration – the process of capturing and storing atmospheric carbon dioxide. It can tell us how plate tectonics is implicated in natural disasters. For example in Botswana, scientists can reveal where (and how) the buried faults – fractures in the ground – rupture. This allows them to reveal exactly where earthquakes strike and what their intensity is. The sensor images also inform scientists on when volcanoes, like Ol Doinyo Lengai in Tanzania, may erupt. This data can be used in earthquake detection and quantification and early warning systems for tsunamis and volcanic eruptions. Without digging up the earth, the sensors can also map the distribution of Africa’s undiscovered underground resources. This data is critical to hydrocarbon and resource exploration. It can, for instance, show where to find South Africa’s diamonds or the mineral, oil and gas resources of Nigeria or Angola. This seismic technology can also reveal why certain features, like mountains, formed on the African plate. It also explains why bodies of water exist where they do. For example, the great lakes of Tanganyika, Nyasa and Victoria were all formed by a new breaking up of the African plate – as Tanzania, Uganda and Rwanda prepare to break off from the rest of Africa. But despite this technology, we still know very little about the African plate. This is mostly due to a lack of funding, research and education in Africa’s Earth and planetary exploration space. One way this can be improved is by growing the AfricaArray initiative. It was launched 20 years ago and sees scientists working on continent wide linked projects, sharing training programmes and observational networks. AfricaArray currently has a seismic network which covers much of southern and eastern Africa. But this needs to be expanded into central and western Africa. With a larger footprint of earth sensors in the west African region it will mean more vibrations, illumination and better images. This will allow more Earth scientists, like me, to build spectacular 3D images of Africa’s interior. 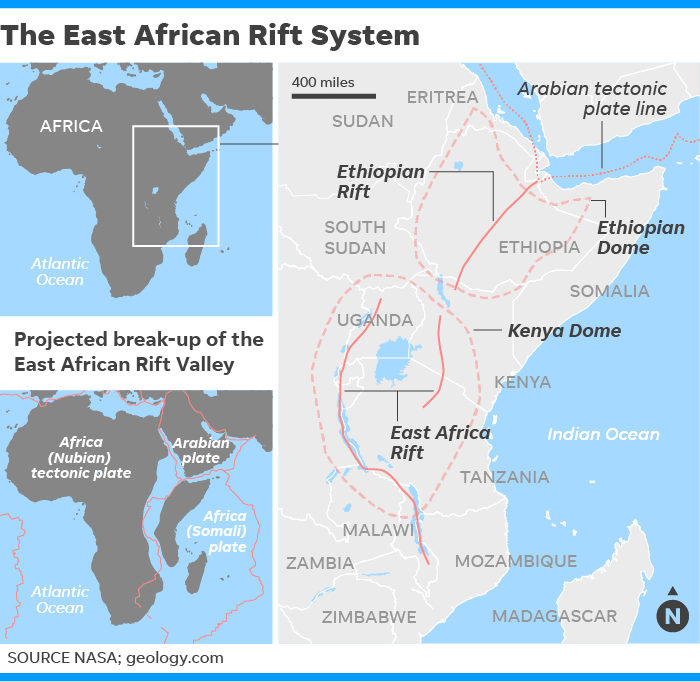 This will enable us to better understand earthquake hazards, the history and drivers of plate tectonics, as well as the composition and evolution of the African continent.